Yvette Greslé graduated with a PhD (History of Art) from University College London in 2016. In 2017, she was a Post-Doctoral Fellow (Global Excellence Stature Fellowship) at the University of Johannesburg. She is currently working on a book project and curated exhibition, which aims to build on themes explored during the course of her doctoral research and her post-doctoral fellowship. The ethics and politics of feminist, queer and anti-racist thought underpins Yvette’s approach to archives, historiography and questions of memory. Her research focuses specifically on how women artists have mobilised moving images to engage apartheid-era violence and its iterations in the present. The ethics of how it is we are personally situated in relation to historical violence underpins Yvette’s writing as a whole. Art produces languages – visual, sonic, spatial, temporal, affective and performative – that have the capacity to inform and expand writing and thought. 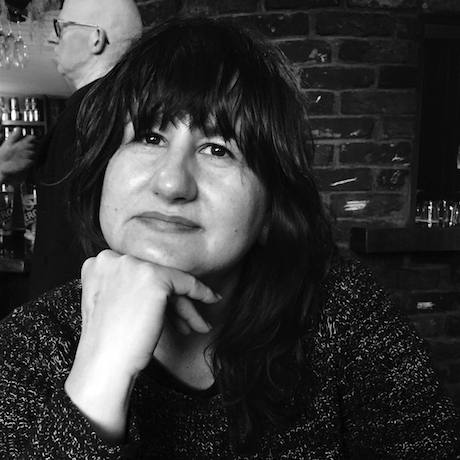 Writing across genres, Yvette has written as an art writer and journalist for over twenty years and blogs at Writing in Relation. Her first book takes the form of a memoir, a project which has allowed her to explore her own situated relationship to historical events and processes outside of the parameters of academic writing. Yvette’s memoir is due to be published by Copy Press in Spring 2019. See the Common Intellectual series. Phoebe Boswell: For Every Real Word Spoken, Nka: Journal of Contemporary African Art (America, Africa, and the Diaspora) (Duke University Press), Number 41, November 2017. “when I felt like I just wasn’t being heard”: Sharlene Khan’s Nervous Conditions, inI Make Art: Sharlene Khan. This catalogue was published on the occasion of the PhD exhibition I Make Art by Sharlene Khan at Goldsmiths College, London, 2014.